You’ve probably gone to the gym before. It can be a jungle out there. You’ve got the people who scream or grunt on every rep as though they’re giving birth. The people who seem to take more selfies than do actual work. The machine hoppers, who simply go from one to the next and pump out some aimless reps and sets so they can check in on Facebook to show they were at the gym. The people who spend more hours on the treadmill per day than Jay Z has problems. You’re looking for that starting point. 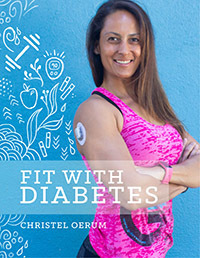 Maybe you entered the Healthy With Diabetes challenge. 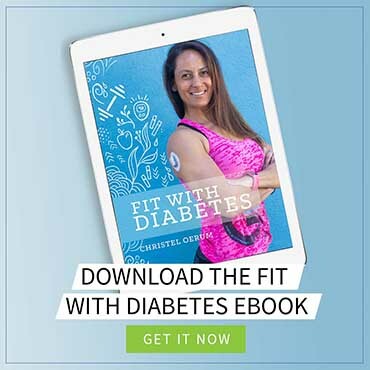 Maybe you haven’t, but you are simply looking for some guidance to get yourself started on this lifelong journey we call fitness. Maybe you want dem gainz. Maybe you want to be able to flex for the ladies… or for the men. Whatever your reason, welcome to the best decision of your life. You may have started doing some online research, and you’ve been bombarded with a whole new language – rest days, splits, periodization, progressive overload, volume, compound lifts, etc – I could go on forever. People make it sound super serious and intimidating. Don’t let that get to you. Rule #1: Make this process FUN. Let’s be real: if you don’t enjoy something, are you going to continue doing it? If I told you that to stay healthy, you needed to drink 32 oz. of prune juice per day, would you do it? Probably not. So why would you continue lifting heavy things and putting them down if you had to do them in such a way that you wouldn’t enjoy them? Exactly. Enjoyment usually translates to consistency. Consistency translates to results. Results translate to steps towards your goals. So, about that consistency…how many times per week should I lift? You could ask 10 people and get 10 different answers on this one. Given the beginner focus we have here, I would say no more than four times per week, with 2-3 times per week being a great starting point. Slow down, my friend. Many people think more is better. You are not alone. Put very simply, when you perform a bout of resistance training, you create tiny tears in your muscle fibers through repeated contractions of the muscles, muscle tension, and muscle stress. When you rest, especially at nighttime, growth hormone is released to repair these microtears. The tears, feasibly, should heal, creating a larger, stronger, muscle. This is known as recovery. If you take NOTHING else from that previous paragraph, just know strength gains occur when you are NOT working out. So building in rest days to your program is CRITICAL. Well, not doing the splits. I’m talking about which days to focus on which muscle groups to ensure the best performance and results possible. Rule #2: Thou shalt not work the same body part two days in a row. If you worked chest yesterday, you will not work chest today. You will wait a minimum of 48 hours before performing more chest exercises in the effort to allow the muscles to fully recover – 48 hours tend to be around that magic time window. Soreness is a nice benchmark to know when you have fully recovered. Cut and dried, simple. One day you work the full upper body, one day you work the full lower body, preferably taking at least a day between the workouts. The other option involves a little bit of everything twice per week. 3 days: A lot more choices here, but a very common one is push/pull/legs. Push accounts for the upper body muscles that perform pushing movements like chest, triceps, and shoulders. Pull accounts for the upper body muscles that perform pulling movements like back and biceps. Let’s choose a 3-day split for now and move forward. The moment you’ve all been waiting for – the exercises. Obviously, this is kind of a big deal. We can break exercises down into two groups: the compound and the accessory movements. The compound lifts will target more than one joint at a time and involve more muscle groups to execute a movement. On the other hand, accessory movements typically involve fewer muscle groups, may have a shorter range of motion, and may be isolation exercises targeting only a single muscle group (i.e. bicep curls focus strictly on biceps). It’s like a lineup card for a boxing match: you’ve got the main event (i.e. Mayweather v McGregor) and you’ve got the other guys (is it really that important to fill in their names?). Who did you come to see? Where is the emphasis? This will allow you to complete the most intensive exercises that provide the greatest amount of benefit while you are still fresh in the workout. Waiting until you’re already fatigued is making life harder for yourself, voluntarily. It’s like calling up Robin instead of Batman to fight crime. You wouldn’t even think to do that. Lower body: squats (front, back), deadlifts* (and any derivative of), leg press. Upper body: barbell or dumbbell bench press (flat, incline, or decline), deadlifts*, overhead press, bent over barbell row, pull-ups. *deadlift is a great move that works hamstrings, glutes, and low back, so many include it on a back-focused workout. These are NOT exhaustive lists – there are plenty more exercises that could be considered compound. These are some of the staples to get you started. Obviously, if you have an injury history or have a specific sport to train for, one or two of these may not be useful for you. For example, if you are a baseball player, please, for the love of God, don’t barbell bench press. But for the general public, these are a great starting point. Again, this is not NEARLY an exhaustive list. There are HUNDREDS of exercises to be found on the interwebs. The goal is to find ones that work for you. You’ve gotten into the gym, navigating through the jungle, and found a squat rack to start your first leg day. But now how many squats do you do? How many times do you repeat that number of squats? That, my friend, is strictly dependent on your goals. <4 reps: max strength. You want to lift cars in your spare time? Spend the workout here. 4-6 reps: strength. Plain and simple. You will get strong. 6-12 reps: hypertrophy. A fancy word for “size,” this rep scheme has been demonstrated to provide biggest muscle size gains. >15 reps: endurance. You may not lift the heaviest, but you can go on FOREVER. 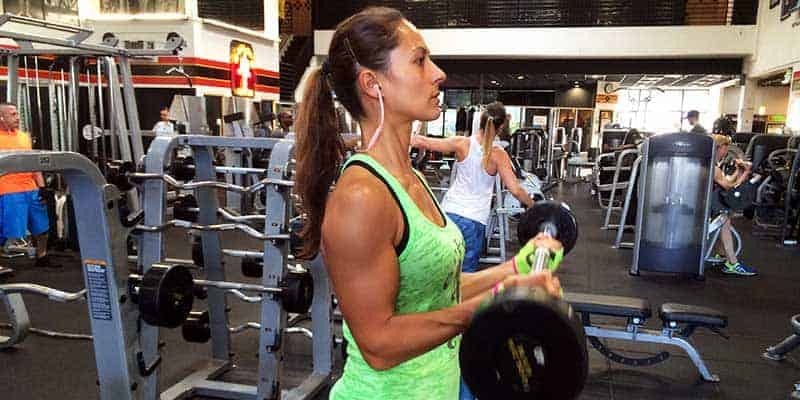 Pick 2 areas you want to improve upon and alternate them, either by the week or the month, to incorporate some variety into your workouts and change it up for your body. Let’s keep this very, very simple: shoot for 15-20 sets TOTAL per workout. You’re just starting out. We don’t want you to spend your entire evening in the gym, and you will see results with this much volume. This would break down to 3-4 working sets for 5 exercises – a working set is a set that is NOT a warmup set. We use warmup sets to get the muscles ready to push the heavier, working set weight. Pick 1-2 of your compound lifts and perform them first, then fill the rest of the exercise slots with accessory movements. Diversify the movements – if you’re doing a 3-day split and have a push day of chest, shoulders, and triceps, don’t just select accessory movements to hit shoulders. Try to stay balanced. Find a weight to use where the final 2-3 reps are difficult. Not impossible, but they are tough and you can complete them with good form. This is a good starting point. “But won’t this get easy after awhile?” you say. Each month, try to increase the weight of upper body movements by 5 lbs and lower body movements by 5-10 pounds to incorporate what is called progressive overload into the program. This encourages an increase in strength over time, which is the whole goal in lifting weights. Like I said at the start of the post, there are a ton of different reasons as to why you are embarking on this journey. But, no matter the reason, there needs to be a way to measure the progress you’re making, or what’s the point? 1) Mirror, mirror, on the wall, have I gotten hot at all? If you’re staying consistent, this may be the easiest place to notice progress. You may notice more definition in some muscles, greater tone in others, a flatter stomach, etc. This one is for the more quantitative people out there who love numbers. Of course, we can look at the scale, but the scale is a TERRIBLE indicator of progress (post coming soon!) However, waist and hip circumference, arm/leg circumference, and how clothes are fitting can be VERY good indicators as to the progress you have been making. This should be commonplace, yet I hardly see it in the gym: someone writing down their sets, reps, and amount of weight moved. There are even apps like Fitocracy that allows you to type in the workout info and keeps a digital log, so you aren’t lugging around a notebook. How do you expect to improve when you don’t even know how much weight you pushed last week? Or how many reps of bench press you completed at a certain weight? Repeat after me: every additional rep or every additional pound of weight is progress. If you pushed 8 reps at 100 lbs last week and now you pushed 9 reps, congrats! You have improved. Make life easy on yourself and don’t forget to track progress! I saw that the first rule was to make working out fun. I hate lifting weights. I find it miserable. 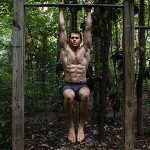 How do I find something fun to make lifting and muscle building/weight loss easier? Well, most beginnings are hard. But! if you have given it a chance and still don’t enjoy it, I’d suggest you find something else. Resistance training doesn’t have to be with weights and it doesn’t have to be in a gym. Maybe bodyweight exercises at home are more appealing, or maybe a pump class, or something else. And if you still can’t find ‘your thing’, maybe a cardio based activity is more you. Thing is; if you ‘hate it’, you won’t stick with it. And yes, ultimately I’d have everyone do resistance training, but if dance classes are what makes you go 3-4 days a week, then do that. I was involved in a car accident 3 years ago and damaged my knees and now have arthritis. I am limited as to what I can do. Squats and kneeling on the floor are very difficult and painful for me. I used to be very active and now I have gained lots of weight. I have been doing exercises sitting in a chair, but that is not good cardio. Any suggestions? Oh- and also- I am a 58 year old female and been Type 1 for 57 of those years. I have a small kid and then with ofc and house no time or facility around to do weight traininv…any alternative i may practicr at home? Ananya, check out my workout videos they are primarily focused on home workouts. Loved your article on working out. You are so spot on. Can this be true for people who are over 50.. I’m 52 and just wondering if I would get the same results with weight loss and toning my muscles?